Made in Bulgaria, raised in Morocco, "matured" in the UK, Elissaveta is our Editor-in-Chief. Her career started in the field of architecture and design where she developed a talent for creative thinking and an eye for aesthetics. In 2014, she found her calling in design journalism and now has over three years’ experience in writing about design & architecture. 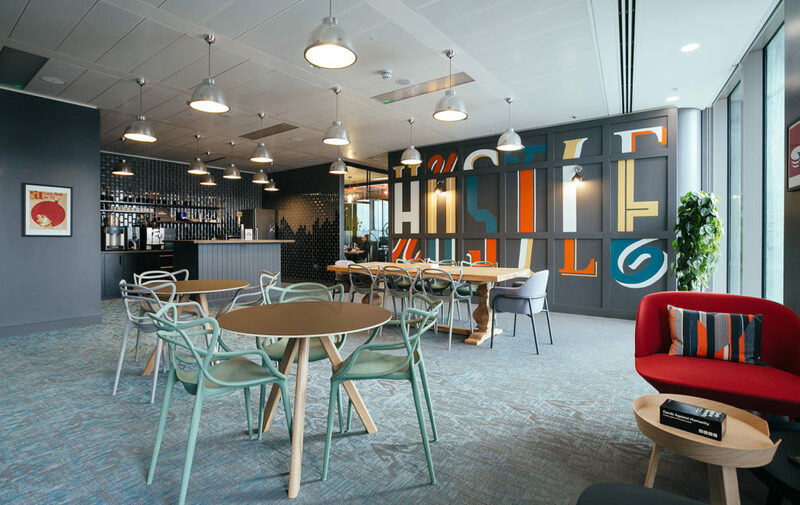 Premium location, designer furniture, hip eateries... London's coworking scene has set the bar high. As the concept of office-sharing continues to thrive, coworking spaces in London are becoming ubiquitous. Stiff competition often leads to innovation with offices striving to stand out from a busy crowd by offering a panoply of facilities and cool features. Open memberships, members-only clubs, hot desking for freelancers, you name it, there will most likely be a coworking space to provide for it. 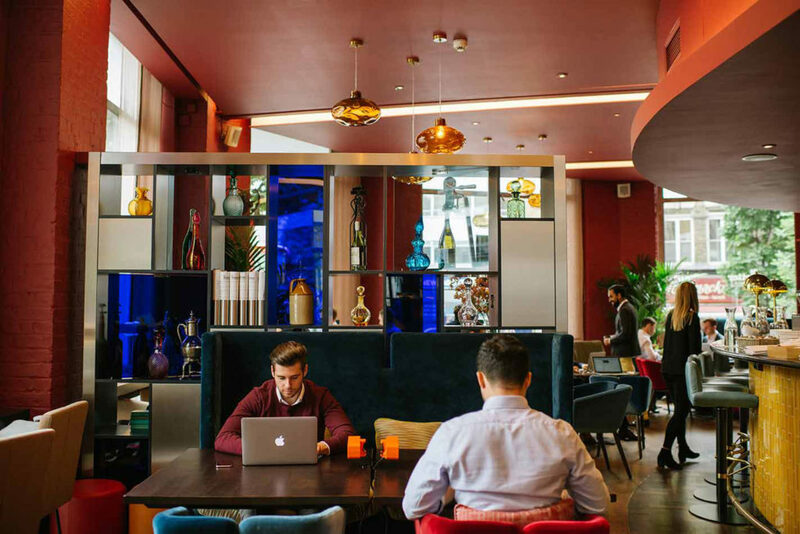 With facilities ranging from cleaning services, through printing to infinite streams of roasted coffee and hip eateries, London's coworking spaces have set the bar high and they must keep it high if they want to succeed. 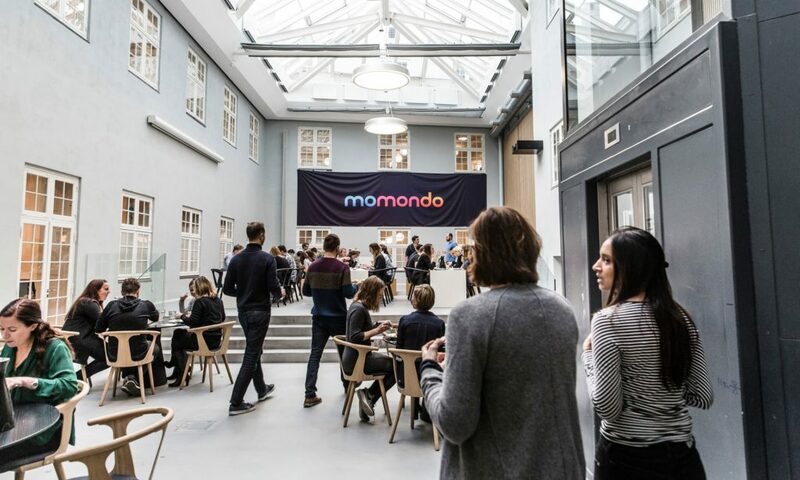 Here is a roundup of those spaces to quench your curiosity, spark your imagination and inspire you to make your coworking space more profitable. 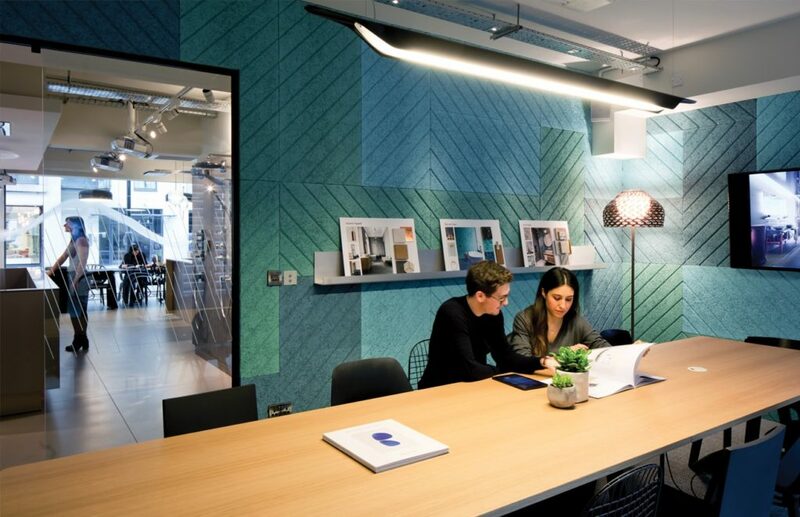 Bathed in natural light, beautifully furnished and conveniently located, Central Working Farringdon offers stylish coworking spaces as well as a luxurious private office for up to 18 people. 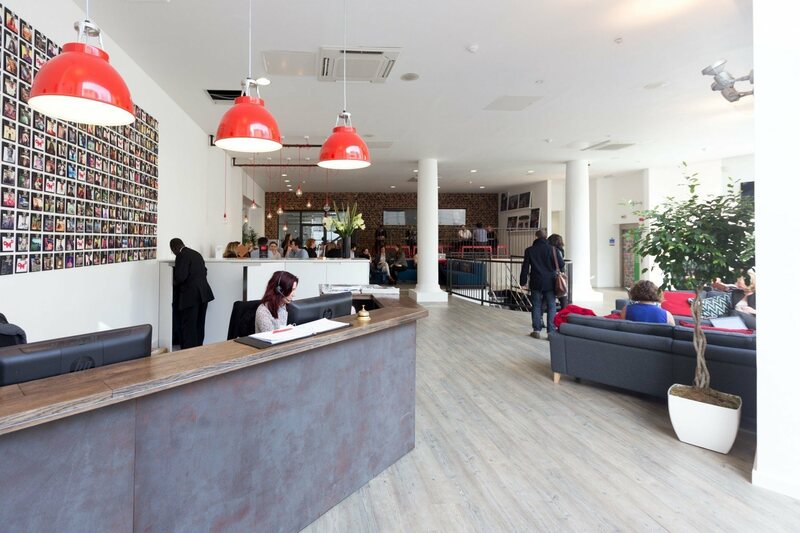 A membership-based club for start-ups, Central Working offers five locations across London. 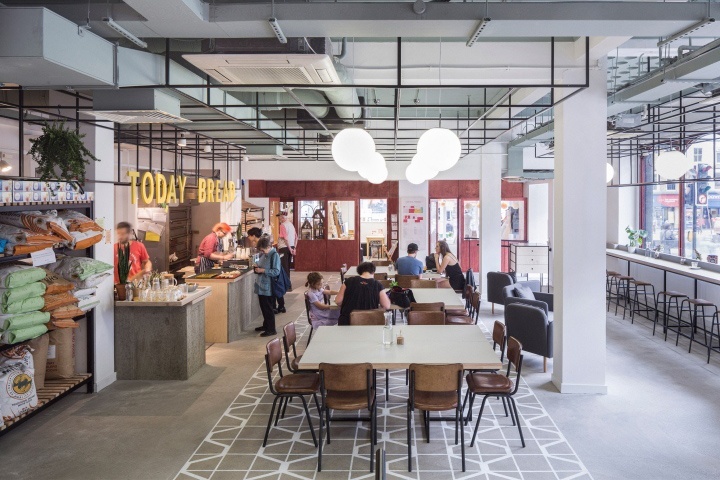 Coworking space and bakery cafe by Gort Scott, London. Photography is by Dirk Lindner. What used to be a rundown office block has become a hub for local creatives in London's Walthamstow. 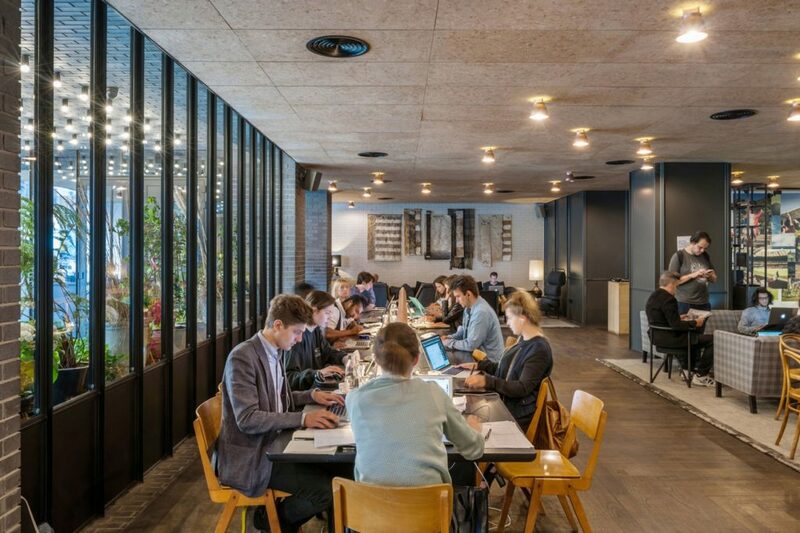 Renovated by London studio Gort Scott, the mixed-use building now features stylish coworking spaces with varied facilities, maker studios and a bakery cafe. 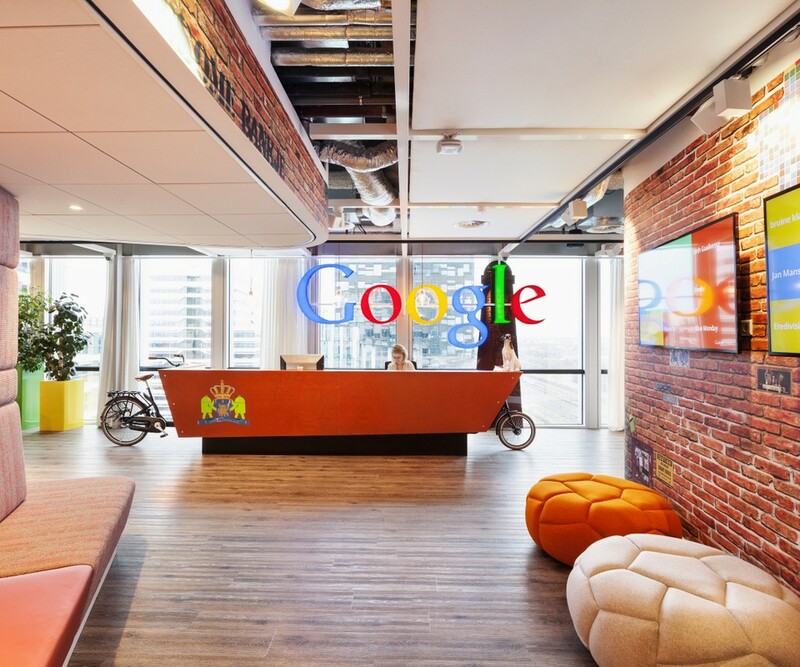 The Google Campus might not have a slide like many Google offices do, but it offers coworking spaces particularly well-suited to tech startups. 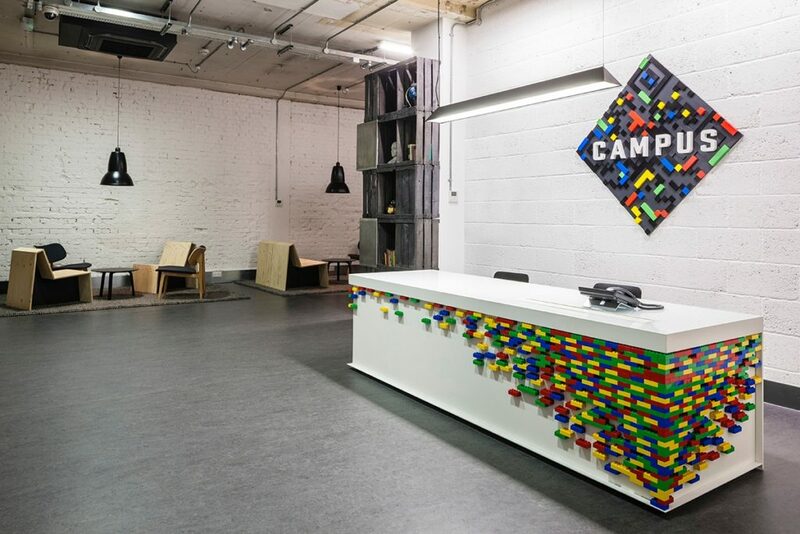 Designed by Jump Studios, the Google Campus boasts a Lego-clad reception desk, an ‘inspiration wall’, and is the perfect coworking space for those looking to network and meet like-minded people. More of a communal space than a coworking space per se, the Ace Hotel deserves a spot on this list nonetheless. Comfy sofas, a large communal table, cool furniture designed by local artists, a British eatery and, of course, great coffee, all conspire to make it a worthy contender. 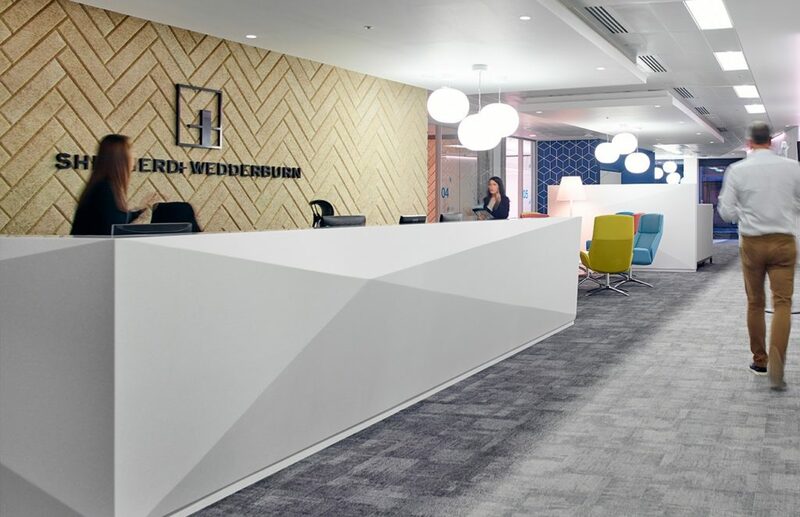 Considered to be the pioneer of shared workspaces in the UK, The Office Group prides itself on 27 locations in London alone. 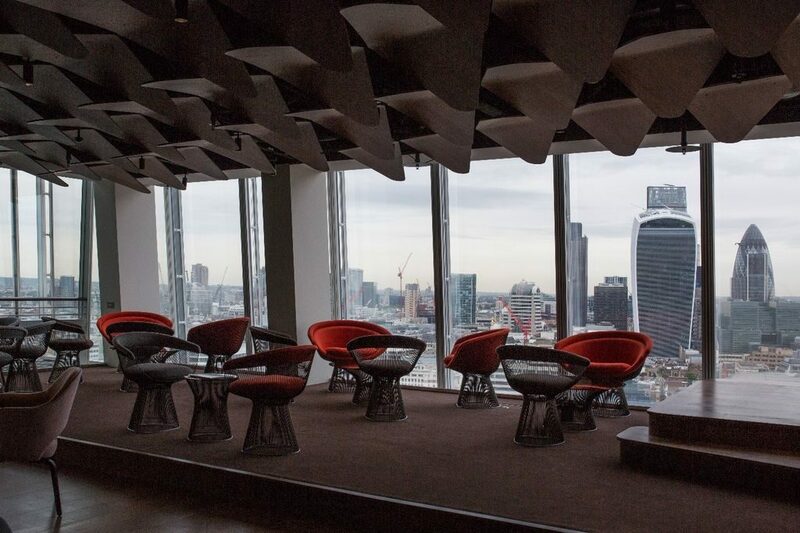 Although members can use any site, the coworking spaces on the 24th and 25th floor of The Shard and the panoramic views they offer might be hard to resist. The 33,600 sq ft space offers a mix of private offices, drop-in working areas, lounges and conference rooms available to any business. Complete with a terrace, bike storage, a game lounge, showers and a communal penthouse space overlooking the Thames, WeWork South Bank is spread over five floors within the iconic Sea Containers House complex. A pet-friendly policy and praised location (WeWork South Bank sits among some of the city’s finest bars and eateries) contribute to a hip, design-led environment open to a vibrant, eclectic community. Have you ever sat in a room, trying to fight boredom? Your clients probably have too. Design can fix boredom. 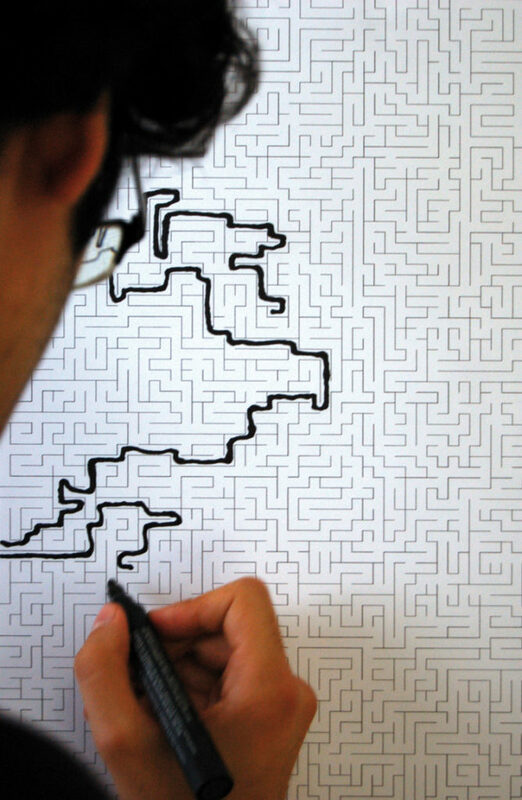 This is the premise behind Wallpaper Games – an ingenious concept that promises to change the way we see the wallpaper. Forget aesthetics, geometric patterns and colour combinations. Instead, choose a partner and play a game of tic-tac-toe on the wall of your reception area or waiting room. 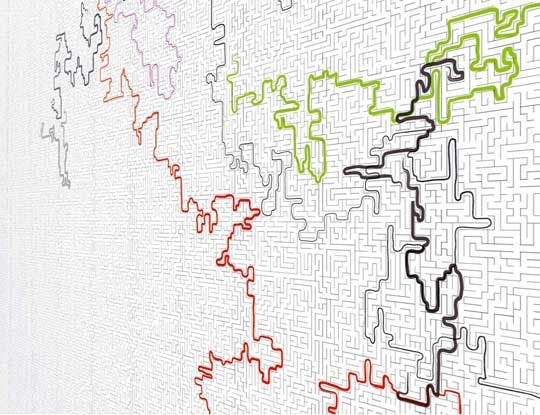 Take your pen on a journey across thousand-and-one pathways and try to exit the labyrinth covering the walls of your washroom office. Spend some time searching for words among a grid of jumbled letters in your office breakout area. 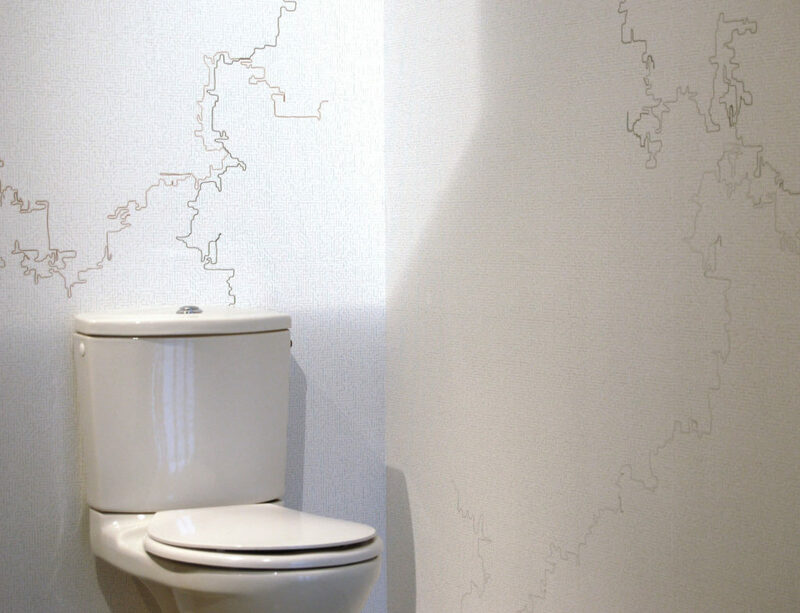 Aptly named, Wallpaper Games provides an ever-changing playground where interaction fights the stillness of your average wall-covering surface. 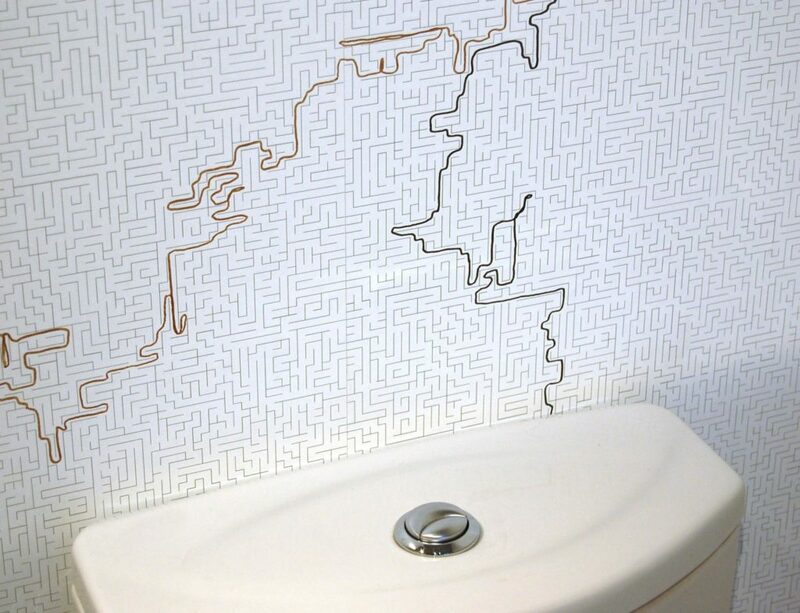 The interactive range of wallpapers was designed by Paris-based 5.5 Design Studio for spaces where boredom may strike (think washrooms) but we think Wallpaper Games would also be welcomed in collaborative spaces such as office breakout areas and informal meeting rooms. 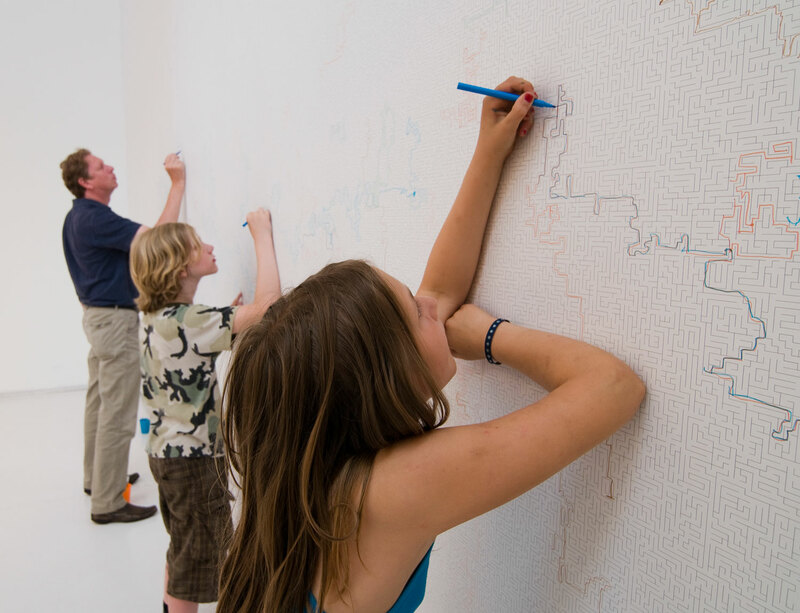 Far more than a wall covering surface, Wallpaper Games acts as a bridge between design and its users, encouraging people to interact with each other as well as with their surroundings. It is less about choosing a pattern and more about creating your own. Wallpaper Games is available in three designs – tic tac toe, maze and word search – all three of which are to be purchased blank, and it is only with time and several contributions that various patterns start taking shape. It is no doubt that such creative design solution would set you up as a progressive business. How can you soundproof your office in style? With the proliferation of open plan offices, acoustic management is quickly becoming an absolute necessity for offices, and a sweet opportunity to shine for the acoustics market. In the field of sound absorption, the workplace industry is spoilt for choice with acoustic solutions, be it panels, tiles, baffles or dual-purpose acoustic dividers. 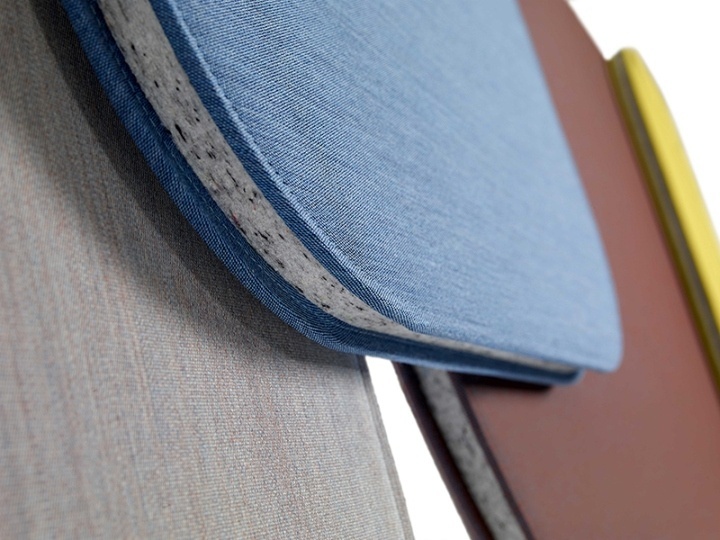 As for materials, acoustic specialists keep outperforming one another, revolutionising the business with eco-friendly options that include wool, natural wood fibres, cement and recyclable felt made from upholstery waste, all the while without impeding on aesthetics. Beyond functionality, many decorative acoustic panels are designed with flexibility in mind: modular units, wall tiles in varying colours, shapes and sizes, and if the walls in your office are too busy, you can always opt for a freestanding unit or ceiling-mounted baffles. Don't know where to start? 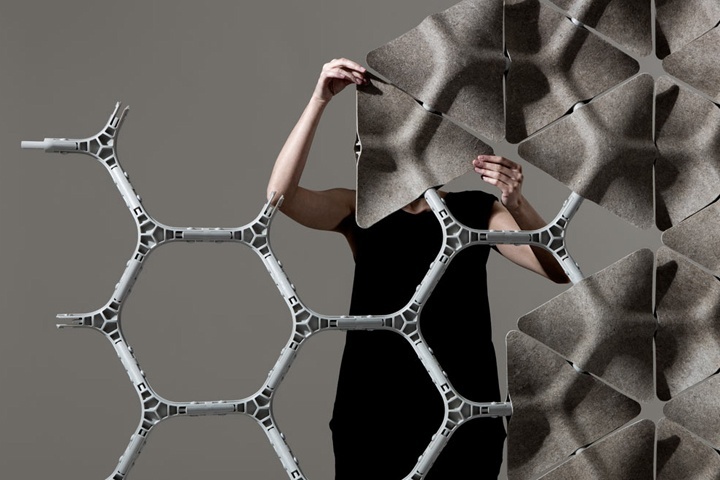 Here's a selection of decorative acoustic panels to give you an idea of what's out there. 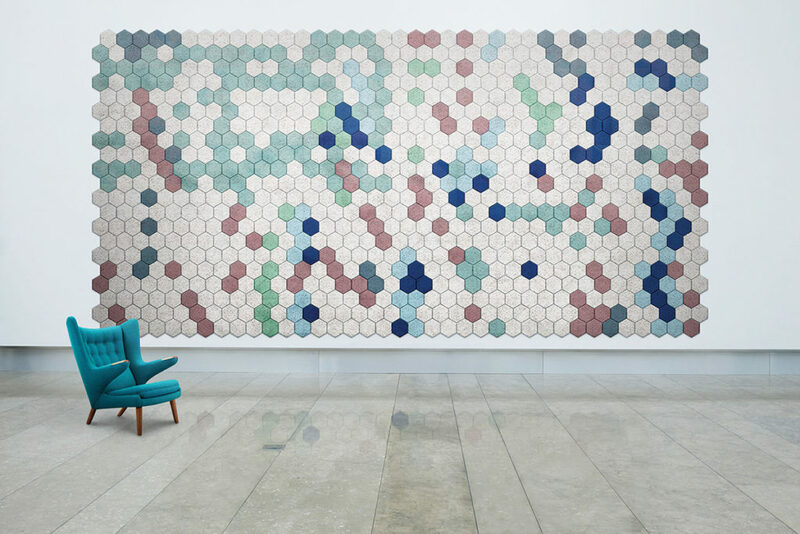 Combining functionality with aesthetics has never been easier with the diverse range of BAUX acoustic panels. 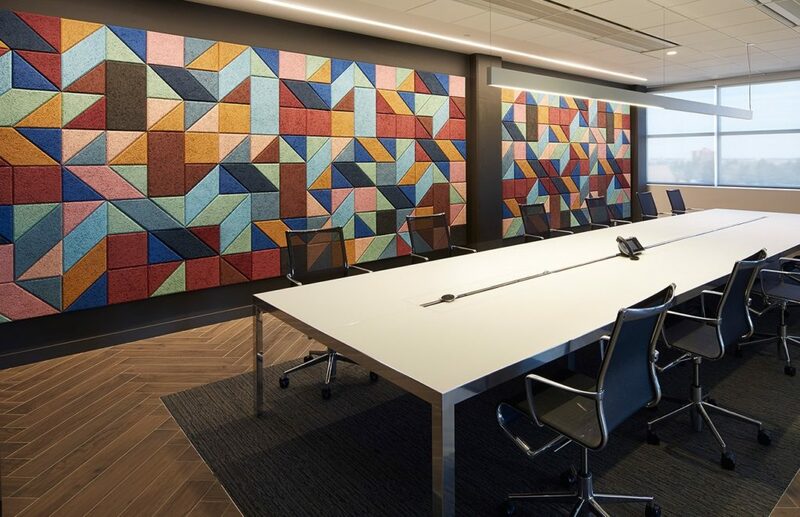 Vibrant colours and warm materials can transform virtually any wall into a functional work of art that also happens to reduce unwanted sound. Neat. 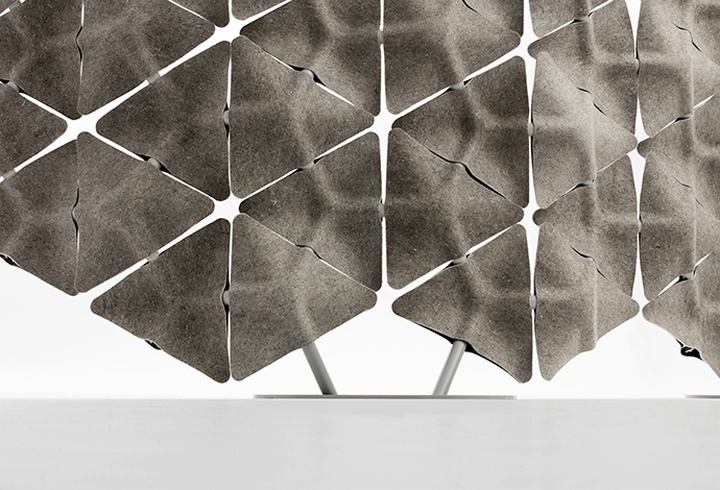 If your office walls are too busy, you can opt for acoustic panels disguised as clever dividers. Whether it be standalone, hanging from the ceiling, this solution is perfect for open plan offices in need of both acoustic insulation and increased privacy. Acoustic insulation in the form of lush green walls is a sound approach every landlord should consider. Phone chatter, obnoxiously loud conversations in adjacent cubicles (we've all been there,) printers, photocopiers, HVAC systems... all distract and make employees less efficient. 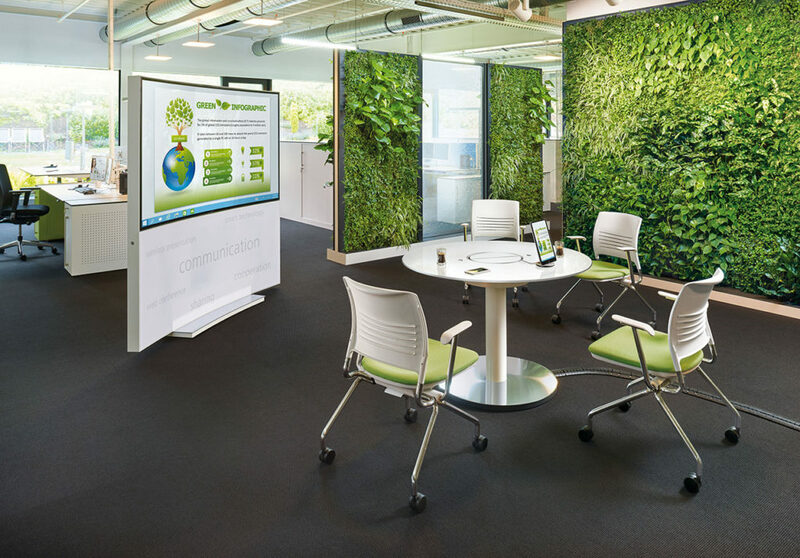 There are several ways to remedy noise levels in the workplace - sound absorption and sound masking are increasingly popular strategies, but what about living plants? 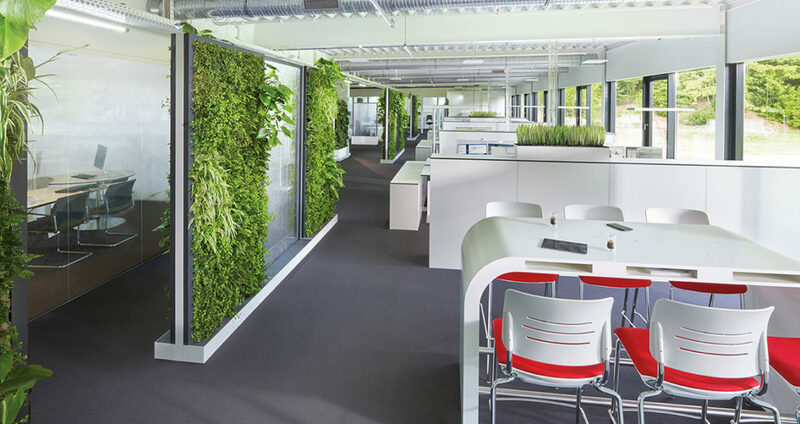 Despite a rising number of studies highlighting the acoustic potential of plants, biophilic design is a resource yet to be explored by acousticians, particularly in sectors like the workplace, still in dire need of fine tuning. NB: Biophilia refers to the innate love for the natural world, in other words, for nature and the outdoors. How do plants regulate noise in the workplace? To understand this, we must first brave the acoustic jargon and grasp the meaning of reverberation time. Let's get technical for just a sentence. Reverberation time refers to the time it takes for a sound wave to die away to a level 60 decibels below its original level. And now, in English: when a source creates a sound wave in a room, what you hear is not only the sound wave spreading directly from the source, but also the sound reflecting from various surfaces around you. Let's put this in context. The average reverberation time (now that you're an expert, we can call it RT) in an open plan office should be less than 1 second. In an enclosed office, the recommended RT is less than 0.6 seconds. In a meeting room, 0.6-0.8 seconds. What does this mean? Simply that an open plan office sporting an RT of 0.6 seconds will be significantly quieter than one with an RT of 0.9 seconds. 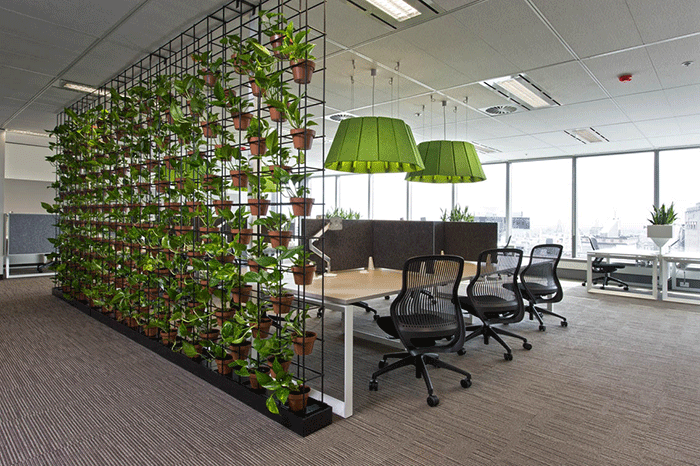 But how exactly can plants help reduce reverberation time, and therefore noise levels, in your office? When sound hits a masonry wall, it bounces off the rigid surface and back to its source, like a solitary tennis ball between a racket and the wall. In contrast, when a sound wave hits a plant, the flexible surface will vibrate and transform sound waves into other kinds of energy. This is the same principle behind acoustic panels that absorb sound by converting sound energy into heatwaves. There is a clear correlation between the way sound behaves and the surfaces around it. Think of a home with a carpet versus a home with solid floors. Usually, a carpeted room will prevent the sound from bouncing all over and creating echoes. Much like a carpet, plants and shrubbery are naturally uneven - covering surface areas with greenery will help accomplish the same feat. Think vines on walls, lawns, green walls, moss walls, etc. How to use plants to reduce noise? Rough bark and leafy plants are particularly effective but for maximum acoustic potential, you should also consider number of plants, location, size and surface area. Larger planters contain more compost and provide more space for greenery. Combined, these two have a significant impact on noise reduction. As a result, your office benefits from better acoustics, and cleaner air. It's a win-win. 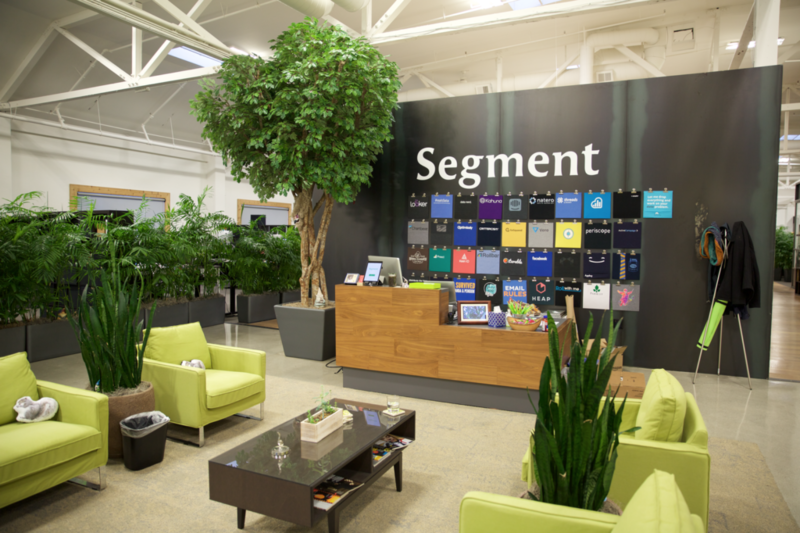 Tip: For better acoustics, arrange your planters throughout the space as opposed to clustering them. It's all about that surface area - the more spread out your plants are, the more opportunites there are for sound diffusion. Along the same principle, plants placed in the periphery of your office - corners, edges, walls - are more likely to reflect sound than plants placed in the middle. Offices are inherently loud - open plan offices even more so. Oftentimes, this means partitions or rows of filing cabinets. What if you could use plants instead? Effective in reducing noise, and more attractive than your average office partition, plant screens are a great alternative. If your tenants are reluctant to lose the filing cabinets, these and other surfaces can also be used to place small bushy plants in narrow containers. 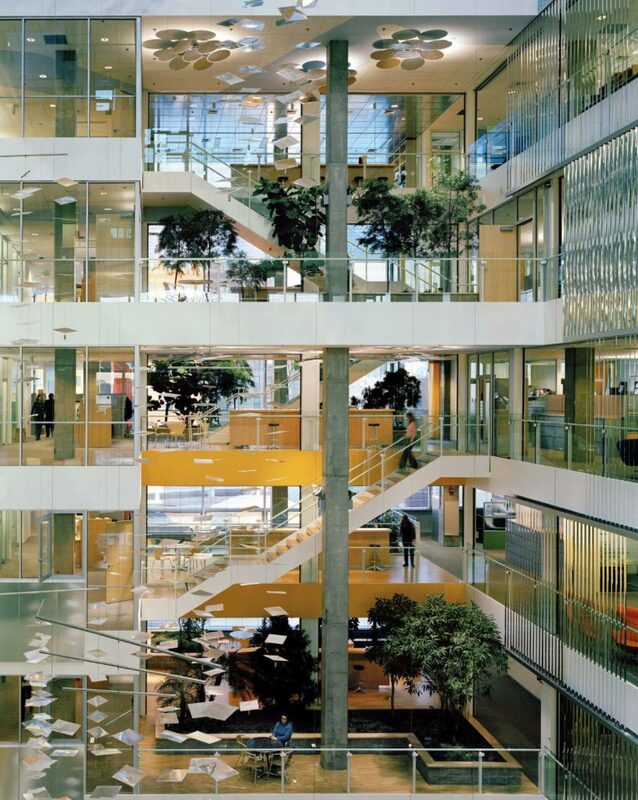 If utilised strategically, biophilic design can drastically improve acoustics in the office and its common areas. There are few studies on the relationship between plants, architecture and acoustics. In a study performed by P. Costa of the South Bank University in London (1995,) Costa tested several single potted plants and combinations of plants in various areas in a room. His conclusions amount to a certain number of guidelines covered above. Spread out arrangements are better than a concentrated few plants. Can hotel lobbies inspire better office receptions? What happens when you walk into a hotel lobby, an office reception, or any space for the first time? We’ve all been taught never to judge a book by its cover. But let’s face it, we can’t help but jump to conclusions. Try as we may to rationalise and give someone the benefit of the doubt, if our first impression has been tainted, it is often hard to shake that feeling off. Thankfully for us (and for them), fine hotels have come to understand the amplitude of this arrival experience. Gone are the days when hotel lobbies were nothing but a dull, uninspiring space for customers to dash through on their way to their room. Today, hotel lobbies are designed to set the bar high. They are designed to welcome, make a striking first impression, and let us not forget, make profit. So what can commercial real estate landlords learn from the hospitality industry? How can hotel lobbies inspire better office receptions? Let’s go around the world to find out. Hotel Icon in Hong Kong houses Asia’s largest indoor vertical garden in its lobby. Credit: Patrick Blanc. The rule is simple. If you want to stand out, you have to be different. And hospitality developers often bank on this element of surprise to attract more guests and consequently, more profit. Inspiring hotel lobbies often boast a particular style, they set the scene, they feature thought-provoking art, high-end lighting fixtures and an inviting space to unwind or hold informal meetings. 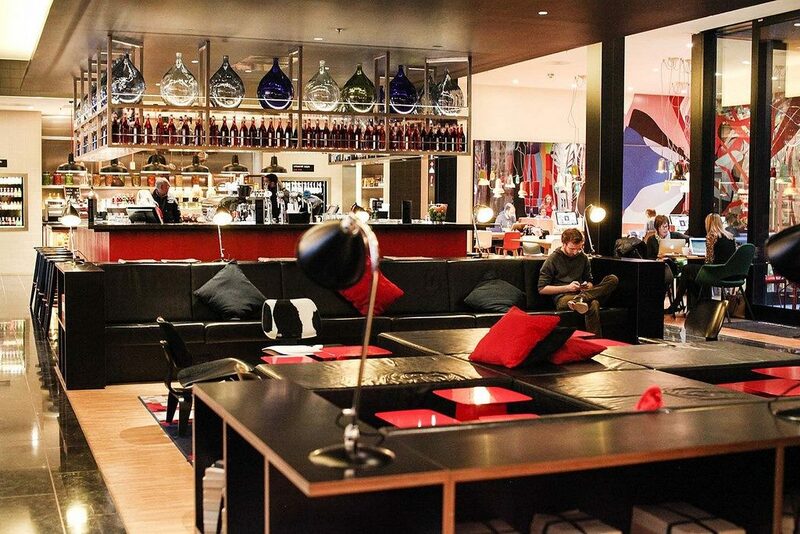 A canteen lies at the heart of CitizenM Hotel's lobby in London. The bar is surrounded by various relaxing eating, and working spaces. A coffee and a croissant can go a long way. Integrating amenities and services such as coffee shops, bars, restaurants and even retail is a sure fire way to enhance your revenues. When guests are short on time, there is nothing more convenient than in-house offerings and exciting retail experiences at your doorstep. Mixed-use office receptions can hope for the same results: it’s all about drawing more traffic. World renowned, French botanist Patrick Blanc designed the living wall in Hong Kong’s Hotel Icon. 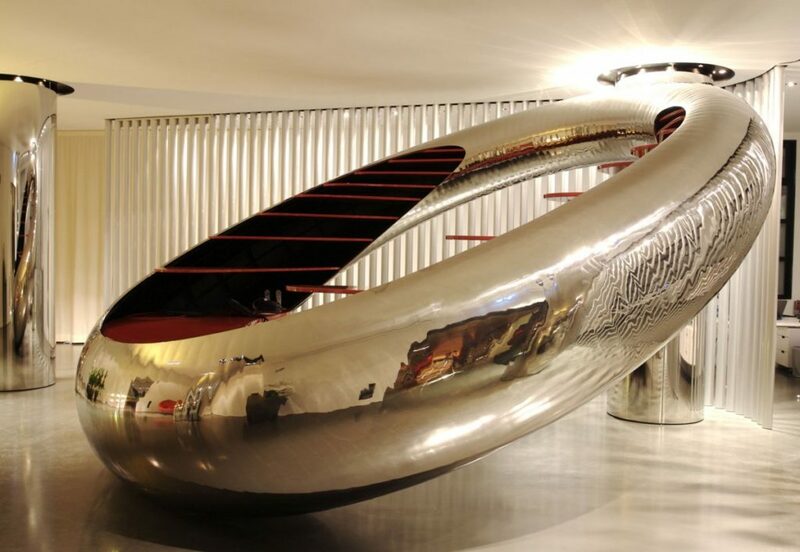 Similarly, the DuoMo hotel in Milan hired Ron Arad, one of the most influential designers of our time to design a slick reception desk for their striking hotel lobby. If you want that unique first impression, you have to be ready to invest in the best. Ceilings, walls, floors, lighting, furniture can all compete to become the feature of the space. Yes, we do tend to judge a book by its cover but in the hospitality industry, as much as in commercial real estate, prejudgements are are the good kind of bad. They inspire landlords to realise the potential of those key public spaces and put an emphasis on them. Anna Rewinska is a London based creative whose work is an interpretation of the energy and texture enclosed in music. Since a very young age, Anna Rewinska has been interested in painting and drawing. She pursued this passion independently and through artistic education in both Poland and the UK at the London College of Communication. She also earned a BA (Hons) in Interior Architecture from the University of Brighton. The main focus of Anna’s artistic practice is visualizing music frequencies and the energy enclosed in the sound. 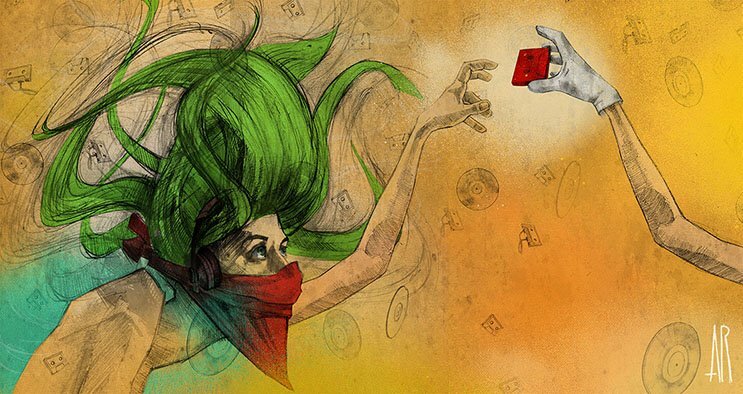 She creates visual narratives that correspond to the atmosphere of electronic music vibrations. The mesmerizing impressions of music are the foundation for the development of quirky concepts which are transformed into large-scale murals. Anna Rewinska currently lives and works in London as a Creative Director at Blue Drop Studio, a digital creative agency that she co-founded in 2015, and also continues her independent artistic ventures internationally. 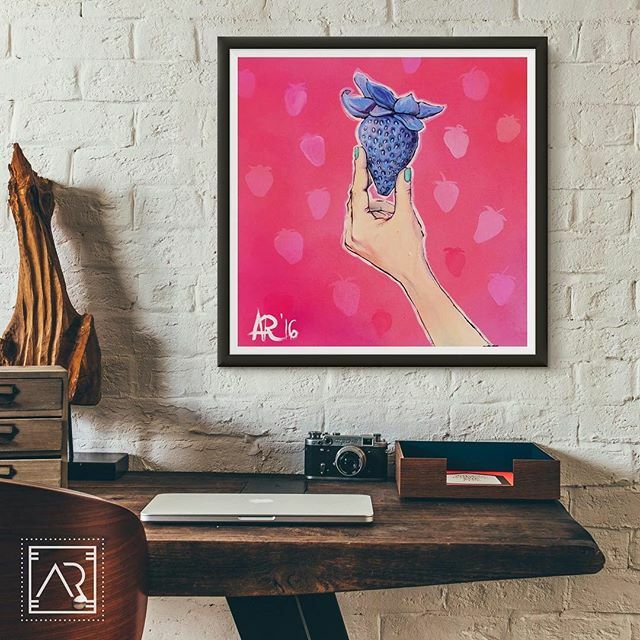 R(love)ution, Limited edition of 30, giclee print, 41cm x 34cm. 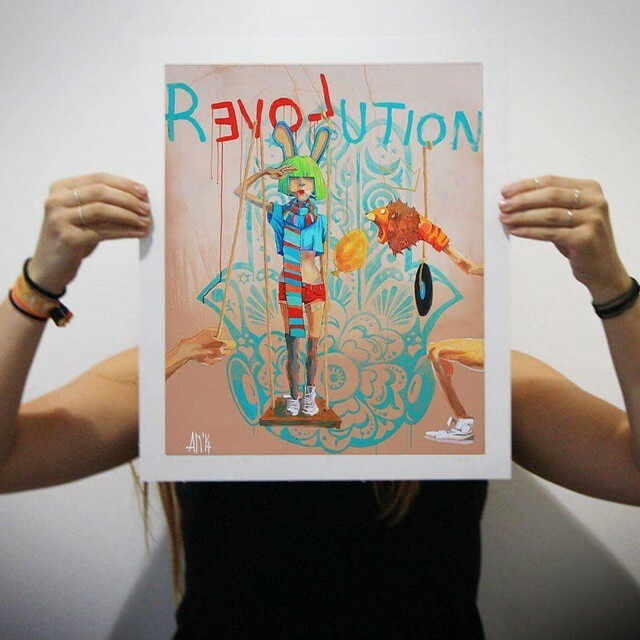 Republic: Tell us a little bit about what inspires your work as an illustrator & street artist? SoundT/Wrap, 2015, spray paint & acrylic on canvas, 90cm x 90cm. Republic: Does your background in interior architecture influence your work as an illustrator & street artist and vice versa, has your passion for street art influenced your architectural designs? A:R: My passion for art has definitely affected my architectural designs to some extent - in fact, my final project at university was about a perfect space for drawing & painting! Later on, my interest in spatial design definitely brought out the desire to use space as a canvas. Apart from street art, I would love to work on a vast branding project where digital illustration would be an important element to the brand and space would be considered as a canvas to bring fun and excitement! 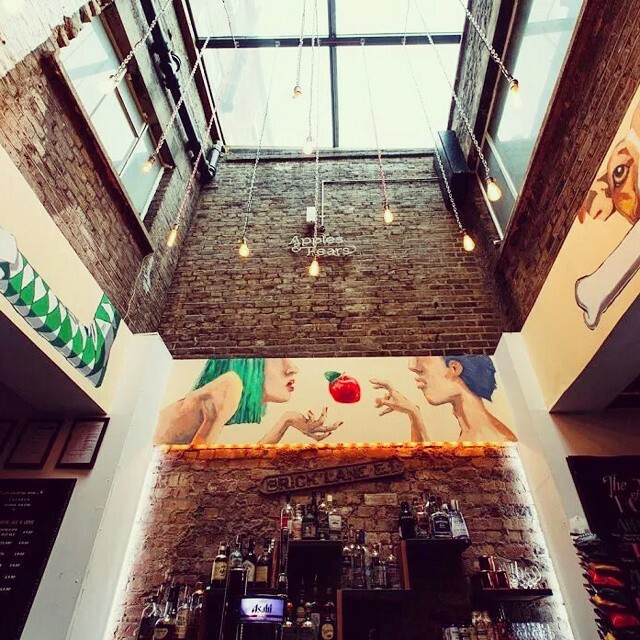 Bespoke murals executed within the space of a Shoreditch-based bar Apples & Pears, 2015. Republic: Urban graffiti used to have a negative connotation, often associated with vandalism, dark tunnels and subway cars. It is now more and more being recognised as a form of art that exudes personality, even indoors. What do you think changed? Republic: Can you tell us more about this transition and what graffiti and street art was like before? A:R: Well, the Graffiti movement that flourished in the 70s was based on a territorial concept and only later evolved into a more elaborate form of art but I think it is safe to say it gave a permission to use the city as a canvas – whether it be with or without an actual permission. This concept of urban canvas is now employed in the street art movement. It is important to say that many urban artists now work on legal spots with a permission granted by the property holder. Republic: What is it, do you think, that drives urban artists to do what they do? A:R: Urban artists are often also studio painters. They use the architectural fabric to extend their artistic reach and make art available for everyone, for free. Street art is an expression of freedom, an art form that rebels in a peaceful manner and reminds us of what is important in life or simply brings a smile on our faces. 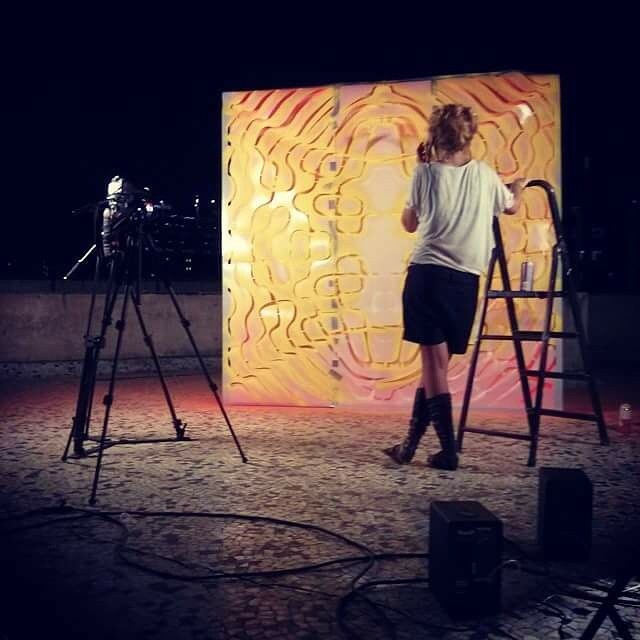 Currently, urban art is an extremely dynamic and evolving art discipline that grows within the city environment, an art discipline that consists of many mediums, from traditional freehand spray painting to paste-ups and even photography. Apart from personal works created by artists or collectives, there is also plenty of socially-oriented projects that help communities and try to invigorate poorer neighbourhoods around the world. Those noble initiatives bring sunshine and hope to the young generation and help them believe, achieve and create. 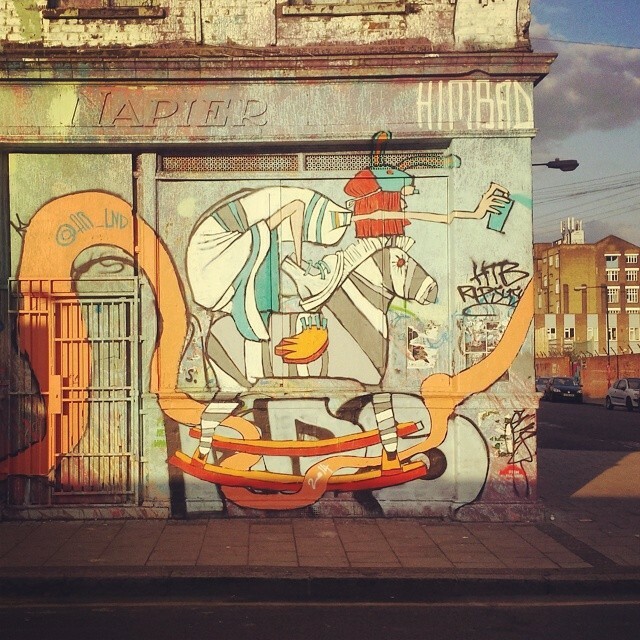 Street art piece in Shoreditch, Rivington Street, 2015. Republic: So you are saying that street can have a clear impact on a social and economic level. What about in the workplace? Do you think art can have an influence indoors? A:R: Very much so. If the work environment is friendly and inspires everyday life, that will improve efficiency at work. It will also inspire new ideas and not exclusively within a creative environment – corporate businesses can benefit from it too. Strawbery Mood, spray paint & acrylics on canvas, 50cm x 50cm, 2016. Also available as limited edition giclee print at Well Hung gallery in Hoxton, London. 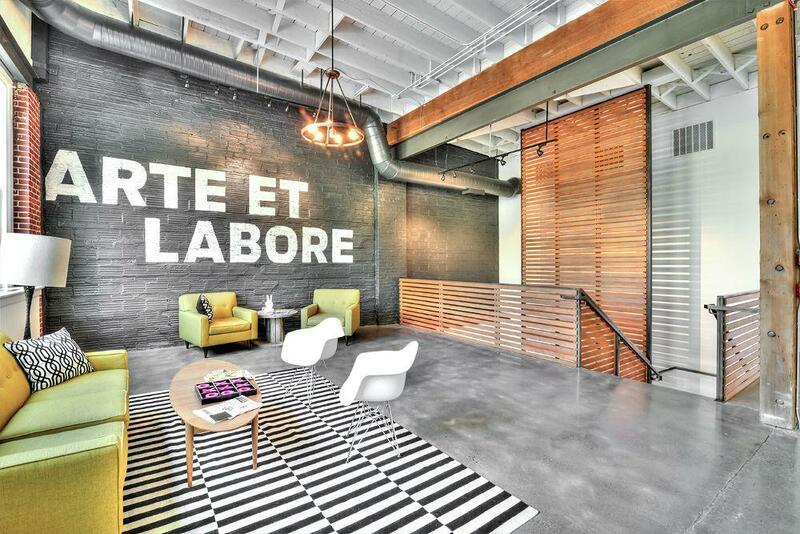 Republic: Workplace and graffiti art are slowly starting to coexist. Why do you think that is and how can offices benefit from that? A:R: That is very true. More and more companies, even industry giants are bringing this form of art indoors. I had the pleasure to work on a huge, site-specific mural for Just Eat (12m long!) in their shared leisure space. I think it definitely injects uniqueness, originality and expression of self that, in turn, might resonate with the workforce and improve not only their efficiency but also their mood. 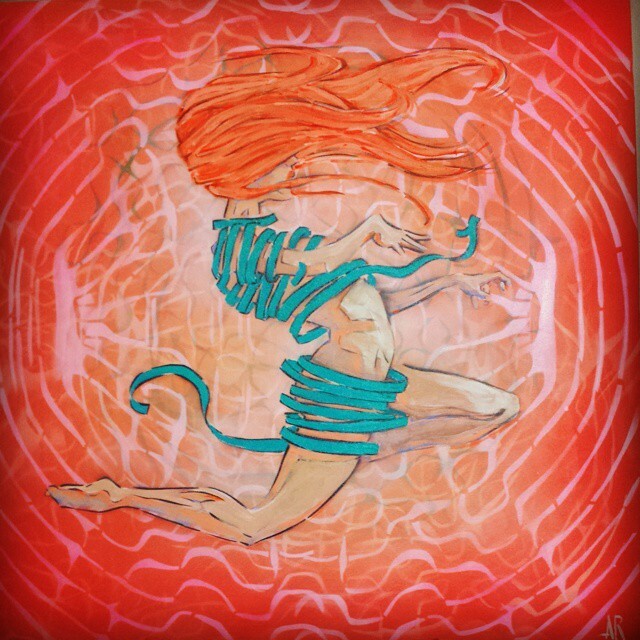 Catcher in the Rhythm 2, 2015. Limited edition of 30, giclee print, 44cm x 83cm. 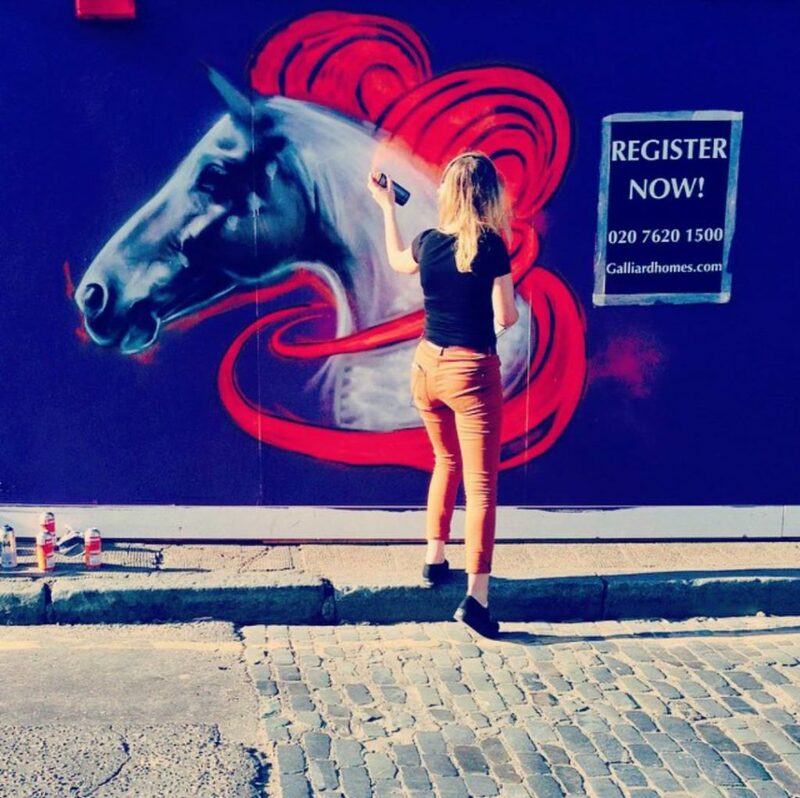 Republic: Do you believe graffiti or street art can help build a company's brand or is it purely an aesthetic feature? A:R: As every tool, if used wisely, it can have many benefits and help connect with a younger target audience. It would be very effective for companies looking for creative ways to communicate and sometimes even interact with people throughout the city. Personally, I think it is such a great, versatile medium that comes in so many shapes, forms and styles that it can help spread brand awareness and also bring a lot of interest. Unfortunately, opinions are divided: employing street art in a brand campaign might, in fact, clash with the philosophy behind it because it remains a free form of expression. So instead of using graffiti as a selling point, a company can benefit from associations commonly made to the movement. Not to mention, street artists create a brand of their own. 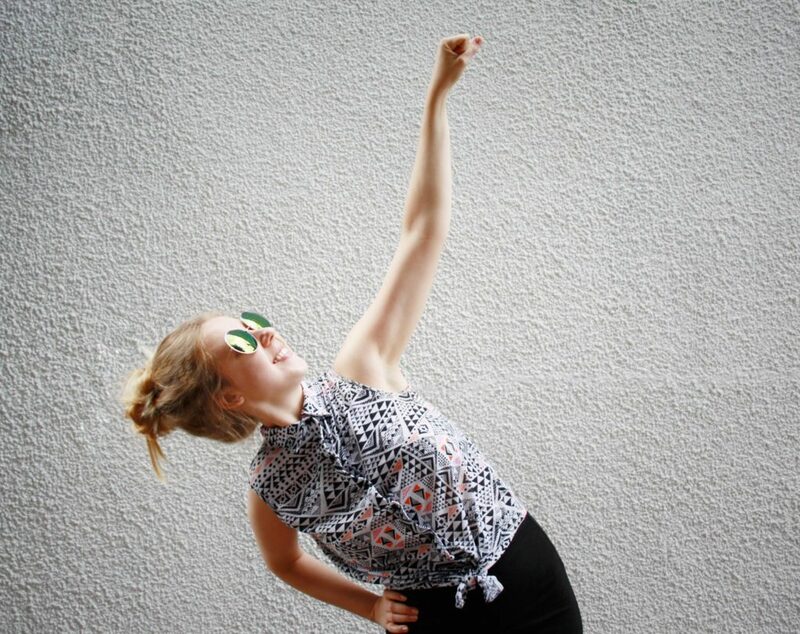 Artists like Anna Rewinska are the reason why we love collaborating with artisans and creative minds. If you would like to incorporate one of Anna's paintings in your next Re:public project then get in touch - we'll be glad to meet over coffee. In the meantime, you can follow Anna on Facebook, Instagram and Twitter. The office reception is the first space potential tenants will discover when they visit your space. If you want to make a good first impression (hint: you should), there are several ways to make the reception area as attractive and leasable as possible. Here are six ways you can improve, thus make your office reception more leasable. 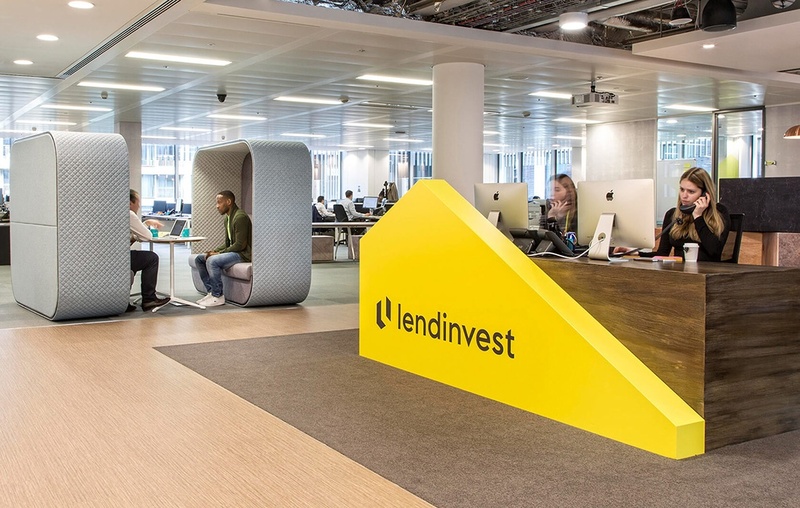 Online lending & investing platform Lendinvest's London office, by Oktra. In order to hold your tenant’s attention, it is always useful to know your audience. To put it differently: what kind of tenant are you building for? Are you looking to attract a big tech company or targeting a creative start-up? Why would a traditional law firm or financial institution like the space you’re offering? Having your dream end user in mind will help you stay focused: nobody likes undecided landlords and if your office reception seems to be on the fence, chances are your prospective tenant will be too. It might be tempting to appeal to a broader audience but, just like employers like to read a tailored cover letter, tenants like to see build-outs that have been designed with them in mind. So now, you have done your research, you have established what is in high demand and you have settled on your dream tenant. How will you capture their interest and convince them that you care? How will you set the tone? Many studies have shown that colour impacts our mood. Although it can be useful to know that reds increase energy levels and yellows encourage productivity, the majority of prospective tenants will prefer a more neutral office reception, one they can personalise themselves. Go for neutral, versatile tones like blues, greys and whites: those will complement just about every company’s brand colours. 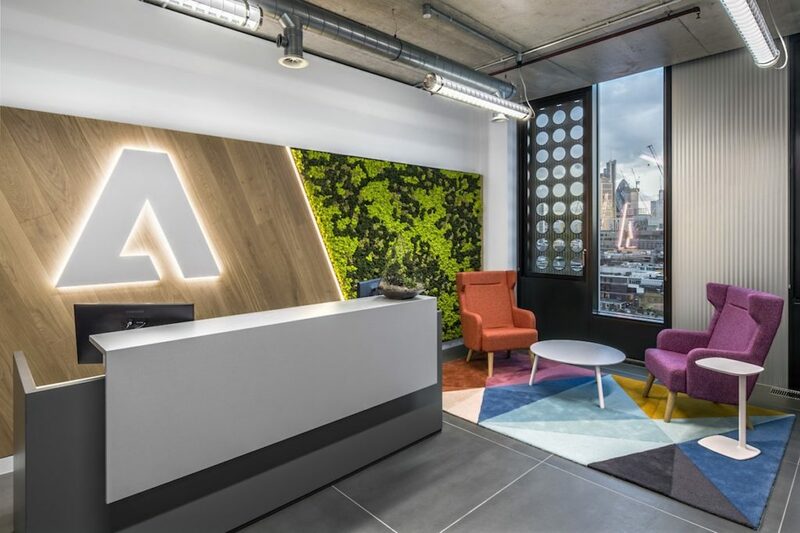 Award winning global digital agency OMD's reception area, by Trifle Creative. Credit: Rob Wilson. A high-quality, neutral finish is also desired on the floor. Seamless terrazzo, smooth, matt epoxy, luxury vinyl tiles, contemporary stone or long pile carpets for a more luxurious feel. 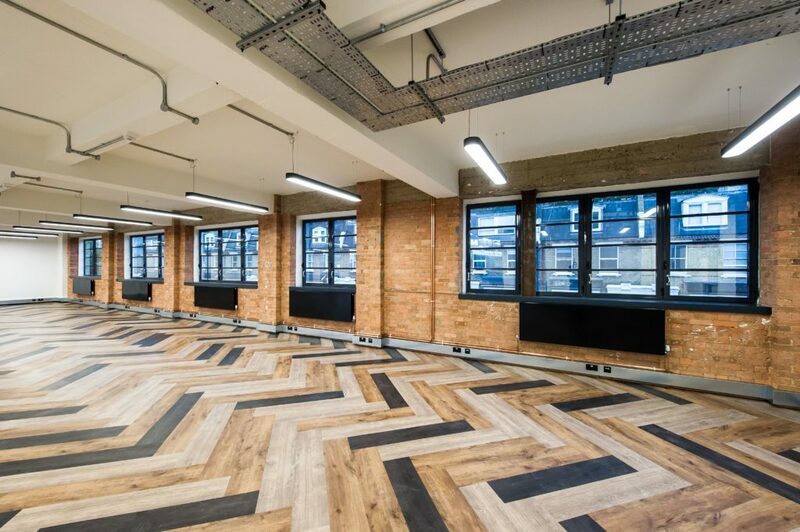 Those are just a handful of high-quality flooring options you can use to create a professional look that will appeal to your prospective tenant. Impress your tenants from the very first step they take into your office. Office design is all about efficiency and the demand for flexible spaces is higher than ever. Built-ins are expensive and will end up costing your tenants even more if and when they decide to remove them. More often than not, a company will prefer to match their built-ins to their own furniture. 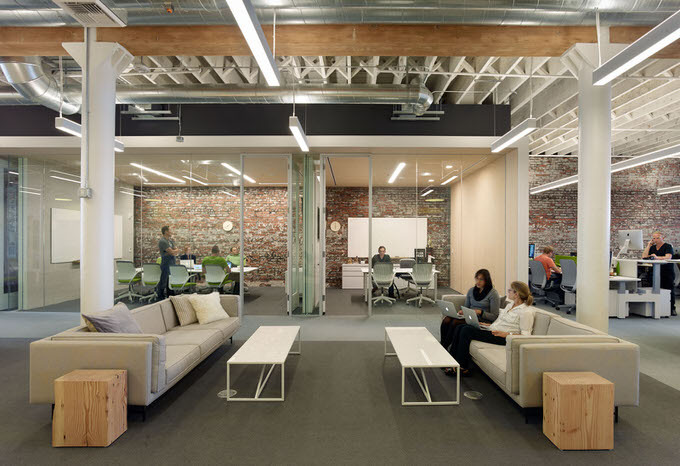 Flexibility is a recurring word in today’s workplace design. Functional, mixed-use reception areas that can double as break-out areas are growing in popularity. And what if you introduced a coffee shop in the reception area? Such an amenity will quickly become a marketing asset and will be a surefire way to enhance your revenue. 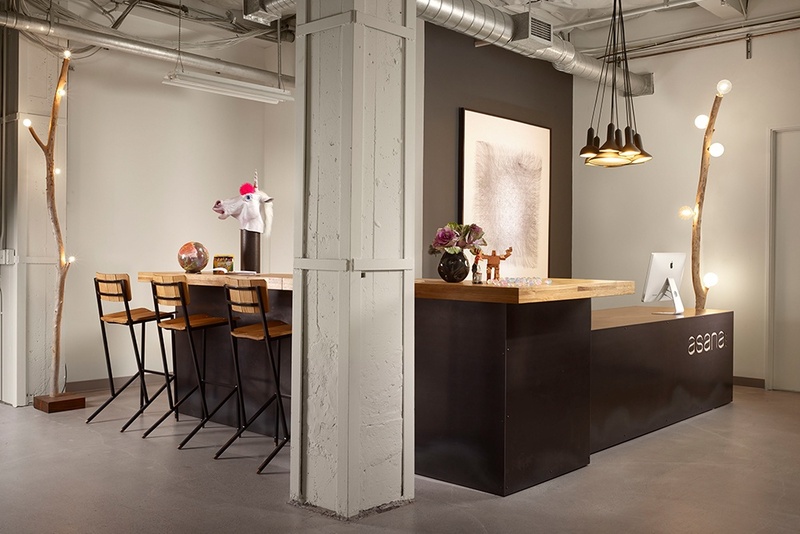 Asana's headquarters in San Francisco, by Geremia Design. The reception area features a bar. Credit: Cesar Rubio. Your office reception should be adaptive and so should you. The more flexible you are, the harder your offer will be to resist. Expect tenants to ask for changes, expect them to dictate their requirements, expect them to be dissatisfied with one aspect or another. This isn’t personal, this is business. Easily satisfied tenants are as scarce as hen’s teeth, unless of course they’re easily satisfied with the very best. So how can you make it an offer that is hard to turn down? Don't rush to start refurbishing before you have a set idea of who you are refurbishing for. Opt for neutral tones and finishes, both on the walls and on the floor; bold and vibrant colours are great for office receptions but you would be playing the guessing game so don't yield to temptation! Keep your space flexible and be open to change yourself. How can a detail oriented waiting area transform your office reception? A reception space with a neglected waiting area is as ineffective as it is senseless. By definition, a reception area is designed to receive, be it clients, business partners, prospects or visitors, it is the gate to your office and the reflection of your business. Now, let's imagine you enter a spacious reception area with a sleek reception desk, striking lighting features, maybe even a bit of branding in the shape of a logo carved in the desk. You're a little early for your meeting with the sales director, no problem, you never finished that Business Insider article you were reading on the tube, you'll just take a seat and — oh wait. Uncomfortable seating, worn-out upholstery, or no seating whatsoever, the waiting area in commercial properties is often neglected when the budget is tight. Yet, the reception area is likely to be your client's first interaction with your office space - in other words: not caring for your waiting area is bound to yield terrible first impressions, which will, in turn, yield terrible business. Not what you want. So how can you make a great first impression? The waiting area is part and parcel of every reception space. By providing a quiet, comfortable space, you're giving your clients the opportunity to appreciate your business (don't worry, a bit of judgement is good for business growth,) and your affinity for design, a.k.a., how closely you're paying attention to detail. Answer the following. Is your business detail-oriented? Do you care for your clients and do you want them to know that you care? Are you looking to set yourself apart from the crowd? 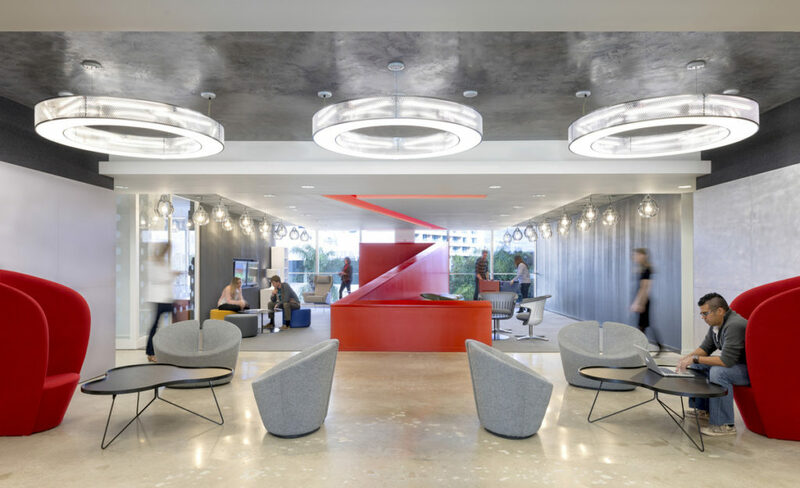 Chances are, you answered yes to all above questions, and the good news is: it all starts with a swanky reception area, complete with a functional waiting area. 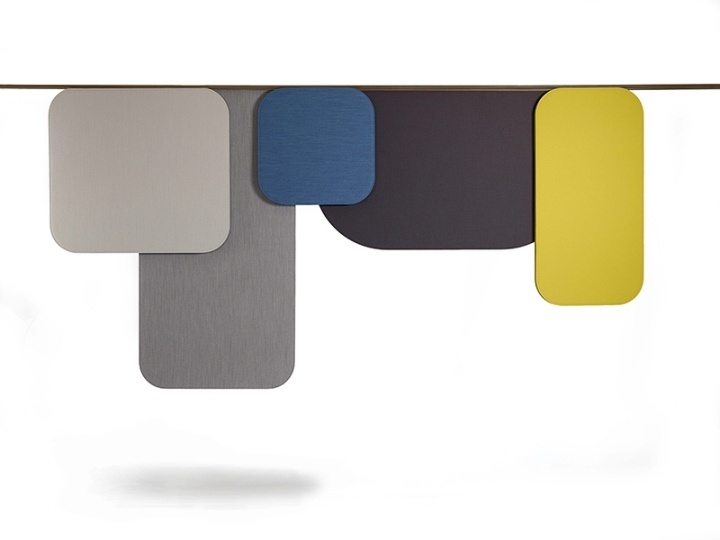 Ergonomic, durable furniture items that have met BIFMA standards, built-in VS. modular seating, bespoke designer furniture... From modern ottomans and soft seating to lounge chairs and low tables, decisions might prove difficult, so here's an inspiring selection to get you started. Adobe London office in The White Collar Factory. 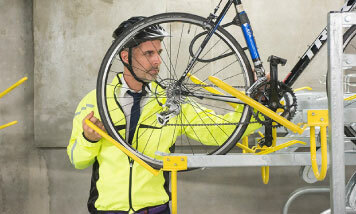 Tenants want cycle provision at work. Are landlords listening? When will developers jump on the bandwagon and embrace a cycle-centric approach to office development? With its cycle superhighways, Crossrail for Bikes and Cycle to Work schemes, London wants -- and seems to be trying hard -- to become the next Copenhagen. Following a trend that is far from confined to Europe (New York has Bikes in Buildings, while Singapore has been profiting from the Travel Smart Grant since 2014), the successive mayors' wishes for a safe bike-friendly capital have given rise to incentives such as the Cycle to Work scheme. But once commuters have made the journey to the office, the question remains -- what are they supposed to do with their bikes (and sweaty selves)? Ambitious as they are, London's cycling growth targets and incentives remain stifled by a surprising lack of insight from office landlords and developers who refuse to include or retrofit offices with cycle provision. When thinking about these much-coveted workplace facilities, a famous Fields of Dreams quote-turned-motto comes to mind: "Build it, and he will come." In this case, however, it seems the words need jumbling up a bit, for he the cyclist has come, but it has not yet been built. When will developers jump on the bandwagon and embrace a cycle-centric approach to office development? Perhaps some numbers will help put things into perspective. In 2017, British Land found that, among 1,000 workers, 87% want public transport links close to their offices, a figure that rises to 97% in London. An even more pertinent figure shows that 39% of all employees want somewhere to park their bike at work – 50% among millennials. 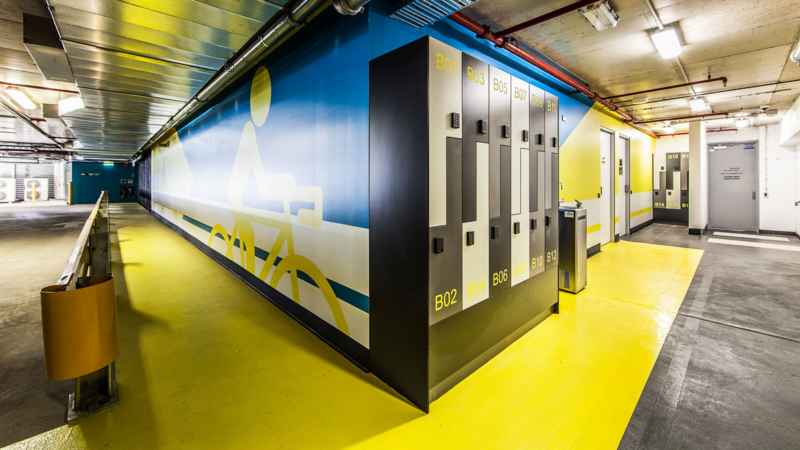 And because cycling, much like the Central Line at rush hour, but with added health benefits, makes you transpire, it comes as no surprise that 53% of the surveyed employees want showers and lockers in situ. Perhaps the most crucial find of all, however, echoes our earlier Fields of Dreams reference: 38% of British office workers would consider commuting by bike if their workplace offered better facilities. 45% of surveyed offices do not have those basic yet crucial facilities otherwise known as showers. So, why should landlords and developers promote bike-friendly offices? Wellbeing in the workplace has become a bit of a buzzword in office culture, and with good reason: it is where office design is headed. 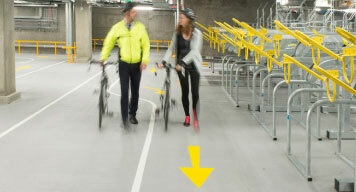 Sustainable, adaptive, and increasingly hyggelig (thank the Danish for the increasing number of workplaces to feature homely touches), the modern office now has to cater to cyclists, too. Why? The following list of perks can be split between three beneficiaries: the employee, the employer, and the person in charge of the building (i.e. you, the office landlord or commercial developer.) Although we could skip to this last category, presenting the full picture is of paramount importance to understanding the need for cycle provision at work. Financially speaking, when an employee gets a bike through a scheme, they don't have to pay VAT, Income Tax or Employees National Insurance on the cost of said bike. As for health benefits, there exist countless studies and extensive academic literature on the link between cycling and health. From type-two diabetes, through coronary heart disease, to several forms of cancer, research shows that cycling (and physical activity as a whole) can help cut diseases and reduce cancer risks. Cycling has also been proven to reduce stress, alleviate depression, improve sleep patterns. But you probably already knew all that, so let's move onto our second category. When employees get a bike through the cycle to work scheme, employers can save on National Insurance contributions. This can incur savings of up to 13.8%. Cycling to work is also associated with lower absenteeism rates, which, naturally, boosts overall productivity. And because a cycle scheme, like other salary sacrifice incentives, yields a non-cash reward, it can help employers attract, as much as retain talent. Financial benefits aside, the Cycle To Work scheme is an attractive feature for the sustainability aficionados. The average worker who devolves (or evolves?) from four to two wheels would reduce their carbon footprint by 6% and save 0.5 tonnes of carbon dioxide. 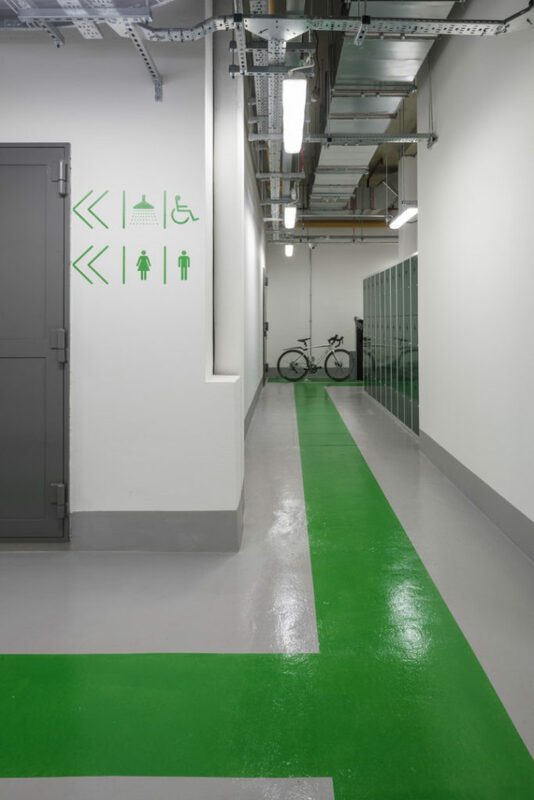 Including cycle provision from Day One is, of course, much easier than retrofitting an existing office building with the likes of bike parking, lockers, showers and so forth. Such building standards do, however, attract tenants, and perhaps that is the biggest advantage landlords and developers should tap into. Just like a product succeeds because its creators have identified a gap in the market, a successful office building has to meet present demands and expectations for the future. This means that a cycle-centric strategy can increase the letting potential of your office space. Perhaps prophetically, Workplace Parking Levies have recently been approved in Cambridge, Nottingham, and possibly Manchester soon. Nottingham City Council is currently leading the way with firms charged over £400 a year in an attempt to tackle air pollution and reduce congestion in big UK cities. 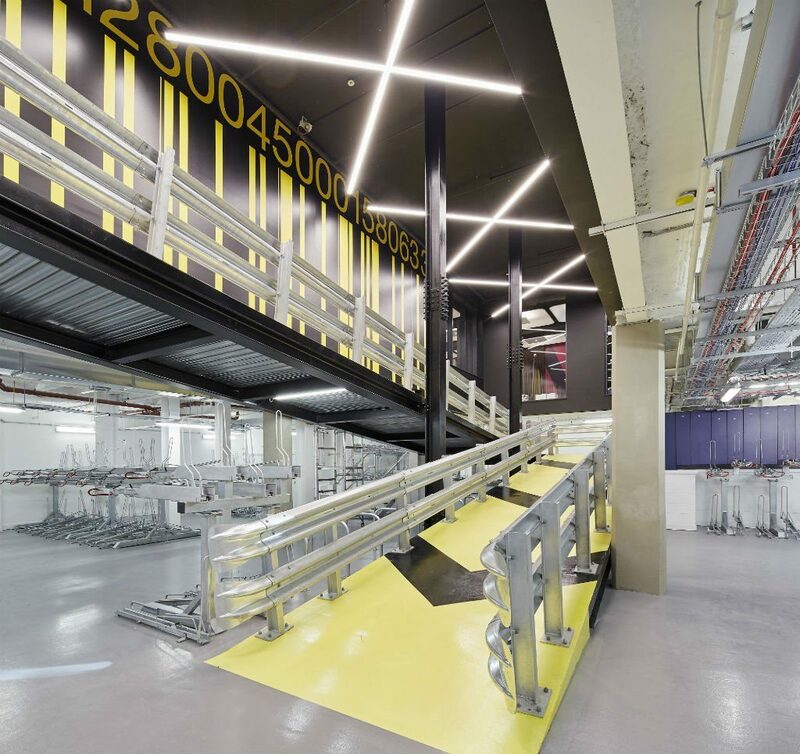 What may seem like a constraint might in fact be an interesting opportunity for landlords who, by reducing the number of cars in their office buildings, could repurpose the newfound space into, oh I don't know, shower and changing facilities? 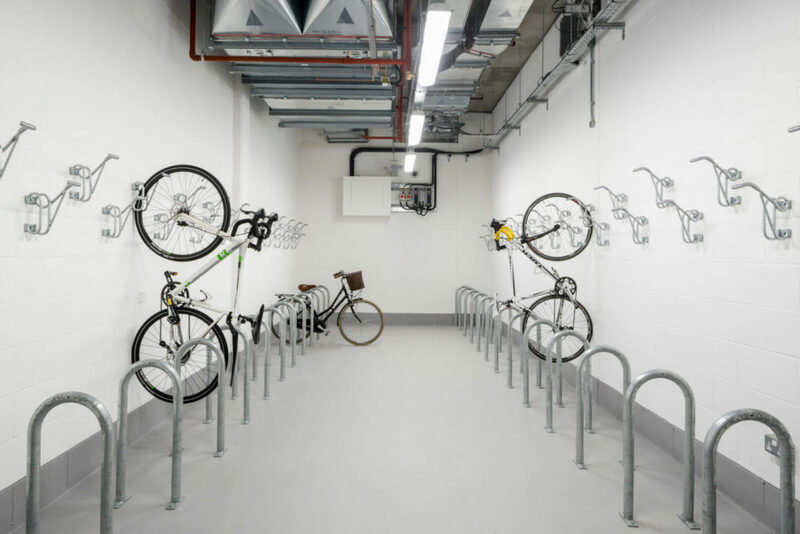 How exactly does one tackle this transformation and what are the factors to consider when developing a bike-friendly office? Hygge at work – it starts with the landlord! Somewhere between cosy and sustainable, hygge at work can be fostered by office landlords as early in the process as a Cat A fit out. For all we know, you may have lived in a cave for the past year and missed out on the ‘hygge’ craze. That’s okay, welcome to 2019. Let’s fill you in real quick. First introduced by the Danes, hygge (pronounced hoo-gah) can be translated as a blend of “cosiness”, “comfort” and “contentment” all at once. Mindfulness meets carpe diem – hygge is gentle a reminder to slow down and savour the little things, but also a quest for health and wellbeing. It is about a sustainable way of being. And with over 2.5m #hygge Instagram posts shared this year, the popularity of hygge in the U.K. is everything but a coincidence. Initially, the hygge concept belonged to the home. Think crackling fire, woollen throws, a steaming cup of tea, sitting in harmony amidst a rustic Scandinavian interior. Although it may have started as a response to the long and cold Danish winters, hygge doesn’t need cold weather to thrive, though. Nor does it require warm blankets, for it is not material. It is a state of mind. In late 2016, “hygge” was shortlisted as the Oxford word of the year — proof that the Danish definition of happiness has well percolated Western culture, and, incidentally, transcended the home to cosy up with the workplace. It may seem contradictory at first — how can an office be cosy and relaxing if employees are to remain productive and efficient? It is doubtful that health and safety regulations will ever include a clause for aromatherapy candles and fireplaces at the office. There is, however, a place for hygge at work, and the journey to wellbeing in the workplace starts earlier in the process than you might think. The hygge craze may have already entered the workplace scene, but its full potential remains an untapped resource for landlords and property developers who like to think outside the box while staying on trend. While several how-to resources exist to encourage employers and employees to embrace hygge in the workplace, very little has been said to foster hygge from the very beginning of the office design cycle. Indeed, the comforting health-imbued influence of hygge can be brought into the office well before the hunt for tenants begins. It may even help. 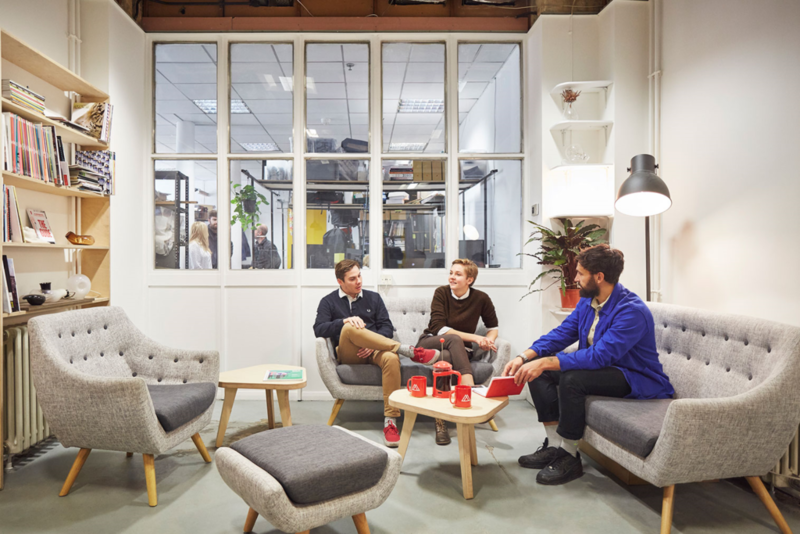 So how can landlords and property agents make the workplace hygge-ready at the stage of a Cat A office fit out, while still offering a flexible environment ready for personnalisation? How can the Danish state of mind be fostered in a Cat A fit out? While flexibility and a “blank canvas” look are key in Cat A fit outs, knowing your audience can often help you stand out. And with wellbeing in the workplace being in the forefront of office trends, you might want to take a stand and position yourself as an advocate of wellbeing, or hygge at work, from the get-go. Needless to say, this should be done in subtle ways. Think warm textures, wooden flooring. energy-saving lighting, sustainably sourced materials that will appeal to the green customer. Location and natural lighting are also worth taking into consideration. End-of-trip facilities are becoming more and more important to the modern-day tenant. Very much in line with the Danish reminder to live healthily, cycling is a crucial part of the London commute. 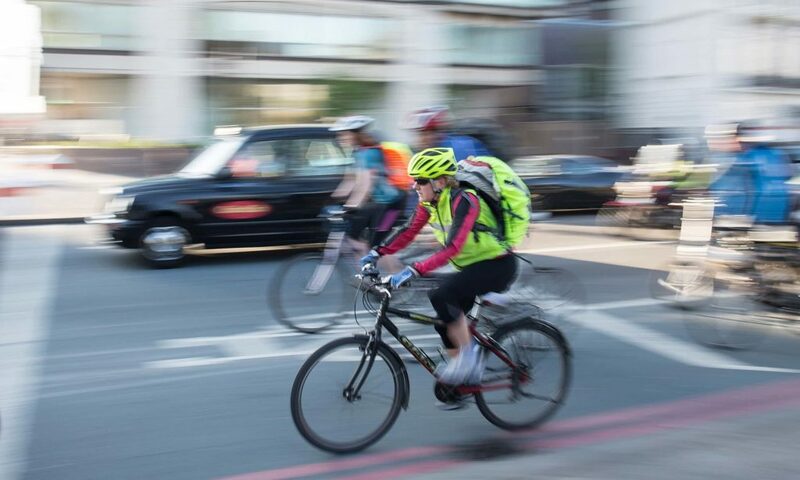 And although the numbers remain static, reports show that more commuters would cycle to work if they were provided with adequate end-of-trip facilities. 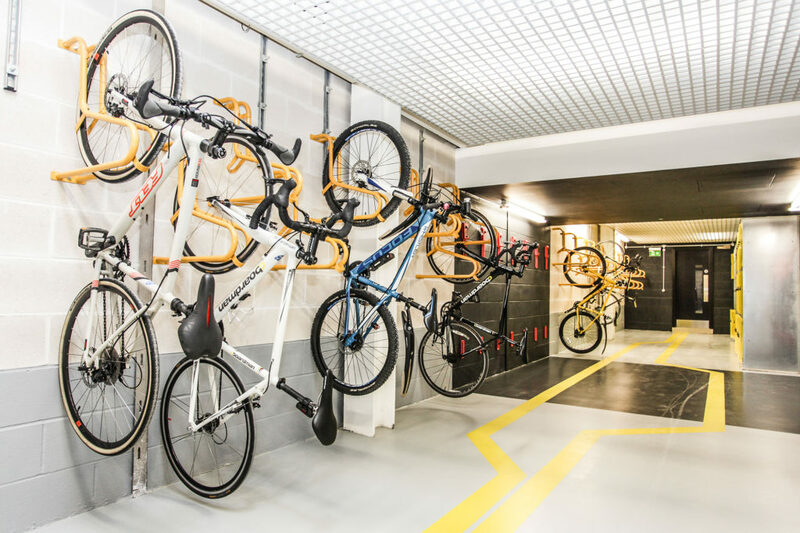 Incorporating bike storage, locker rooms and shower facilities in the common area of the office building will not only hygge-up the workplace, it will also attract tenants willing to pay higher rent for a more sustainable lifestyle. Work-life balance is key to Danish culture and an essential element to hygge. While employers can promote a more relaxed company culture by offering wellness incentives and creating socialising spaces, landlords can pave the way for a hyggelig office by focusing on the common areas of said workplace. Anyone who has ever worked in an office will know – most interactions happen in shared spaces. 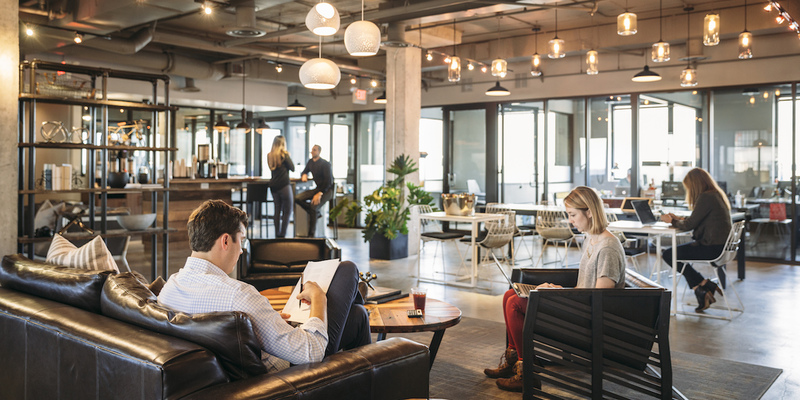 In other words, landlords who go above and beyond to cater to those shared spaces show a clear understanding of the Millennials’ need for interaction and collaboration. 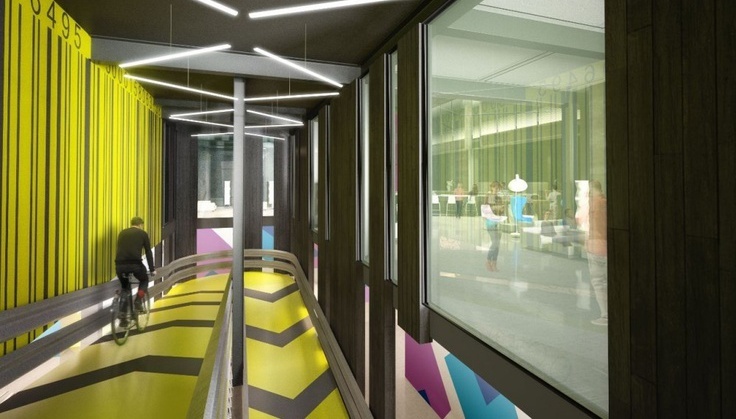 If office reception areas, lift lobbies and washrooms all reflect this understanding at the early stage of a Cat A fit out, offices may well command higher rent and landlords will find it easier to attract (and retain) tenants.